Start PowerfulBusinessWomen’s clubs all over the world. Which will be hosted by the local partners of PowerfulBusinessAcademy. To help and empower business women all over the world to grow their business to the next level so that they can make more impact in the world through their business. Knowledge and skills to accelerate their business through training, speakers, and webinars. A like-minded network of strong business women. A network to do business together. (Only 1 % of all the deals in the world go to women- owned companies, Women have the power to change this, starting with this themselves). Women are more and more to be seen in politics. Due to quotas or other matters. In business, we see that every year more and more women start a business. In my country, this is 31 % now, which is good. However, their companies remain too small and because of that they have little influence and cannot make a lot of impact. The mindset of women is often different from men, for example, women do not think so big. Men bluff their wayin or -out of situations. Women don’t do this they prepare very well, they make no promises on the forehand and therefore they miss opportunities. This is a club where strong business women will meet. This is an international network where women from all over the world will be able to meet live and connect. Or meet virtually through the website. This is a club where you can learn from other business women because they are open and want to share and give. This is a network of Powerful Business Women! A famous woman with a large network in the country where a club is hosted will be the guardian angel of the network and will be accessible to the club members. She will visit the club at least once a year. My name is Tineke Rensen. I have been a business owner for 28 years (2018). Before I became a business mentor/accelerator I had my own outdoor & survival, travel agency. We were specialized in outdoor activities, such as rafting, climbing, kayaking and more. It operated in various European countries. I sold it because I wanted to develop myself in a totally new arena. I am a former sports athlete and have been doing sports as long as I can remember. This resulted in achieving to the title of the national championin whitewater kayaking in The Netherlands. I also joined the national Ski-team. As an entrepreneur, I have a lot of international experience. I now have international clients and speak internationally. With my former business, we worked in 4 different countries at the same time, during peak season and with a team of 25 persons. I speak fluent English and German, and reasonable French and Italian. I transformed myself from a woman doing business like most men do to a business owner using her female strengths and qualities in harmony with the male way of doing business. It has always been my passion to help and grow people in any kind or form and help them to go beyond their limitations. (Before we di this through the sports we taught, and now with business mentoring and bringing business-women together). When I was a young business owner, I joined mixed business clubs, because there were no women’s clubs. In these clubs, I met mostly men. Years later when I was elected as the best female business owner of my county I was invited to a women’s business club who had chapters in many parts of my country. Finally, I thought, “now I will meet like-mined business women”. I liked it a lot, but I often got disappointed. Because we talked and had fun, but did not do much business together. Their businesses were too small to be my clients. So, I left this club. 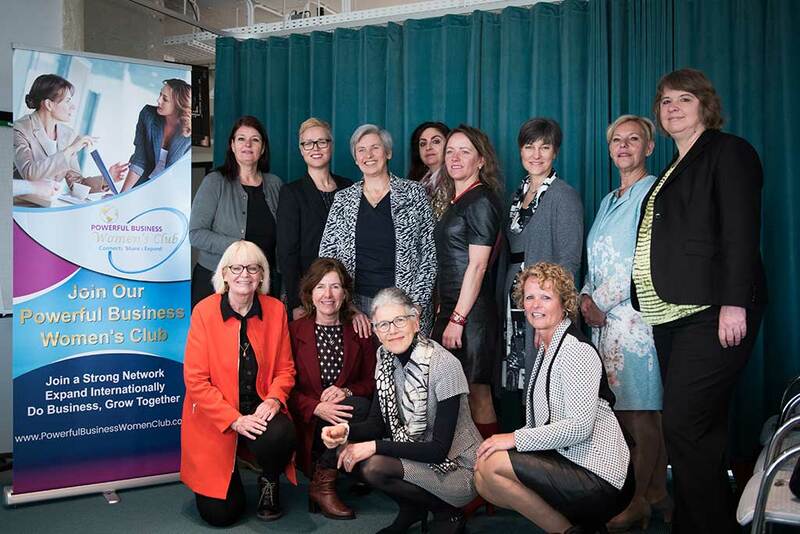 Many female business clubs invited me as a speaker. My aim was to find a good club where I would find likeminded women. I could not find one that matched my needs and desires. Often, I was the one with a lot of experience, ambition, and knowledge. I was sharing my knowledge and helping other women, as women naturally do. But it was a one-way direction for me. I gained nothing of it, except having fun. That’s why I decided to start with a totally new concept for business women’s clubs where we facilitate knowledge and doing business together. Extend their network with other strong business women. Employ staff, or do so already or want to outsource more. Share their network and collaborate with other members. Have a turnover of 100.000 euro and far above. Have self-confidence, but mind bugs are bothering them every now and then. Then you are very welcome to join us. Clubs will be In various big cities in the world. Because we start in March 2018 the network will grow from then on. We have breakfast sessions with a special program.